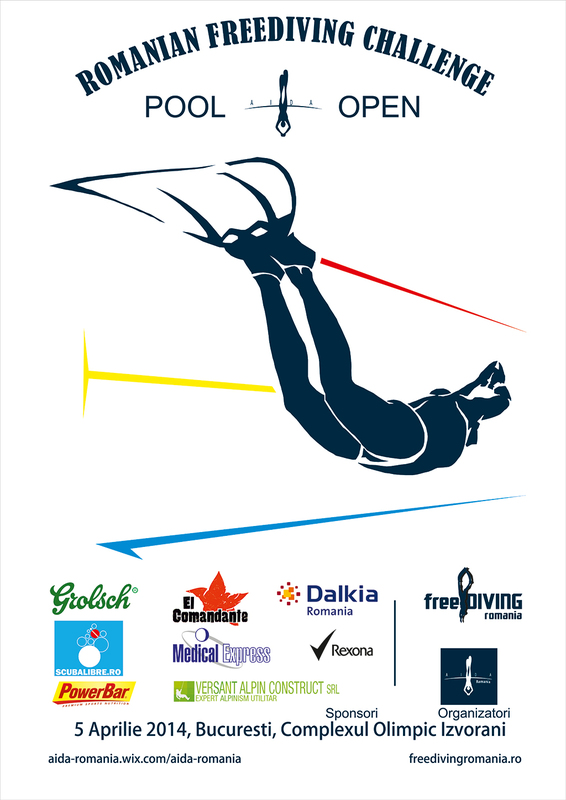 The beginning of April hosted the first freediving competition ever to be organized in Romania – Romanian Freediving Challenge 2014. The competition, planned by Freediving Romania and AIDA Romania, with the support of the entire freediving community, took place at the “Sydney 2000” Olympic Complex swimming pool in Ciolpani commune, Izvorani village, near Bucharest, and was an AIDA international ranking competition. 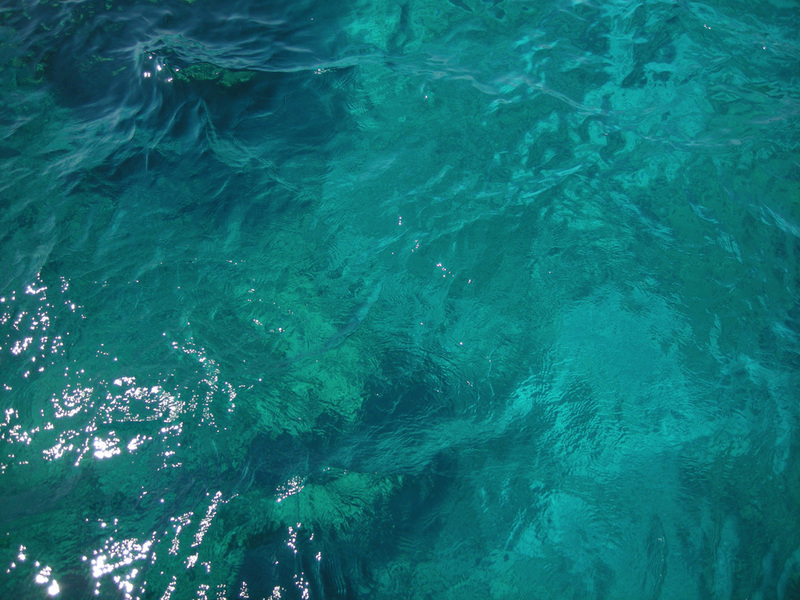 The three disciplines in which took part 27 athletes (3 women and 24 men) from four countries (Romania, Cyprus, Serbia and Hungary) were: Static Apnea (STA), Dynamic No-Fins (DNF) and Dynamic with Fins (DYN). The event opened on Friday, April 4th, day dedicated to the official registration of the participants, the official training and the safety course. Saturday, the competition started in the morning with the registration of more participants, followed by the Static discipline, Dynamic No-Fins, a short lunch break and the final discipline, Dynamic with Fins. 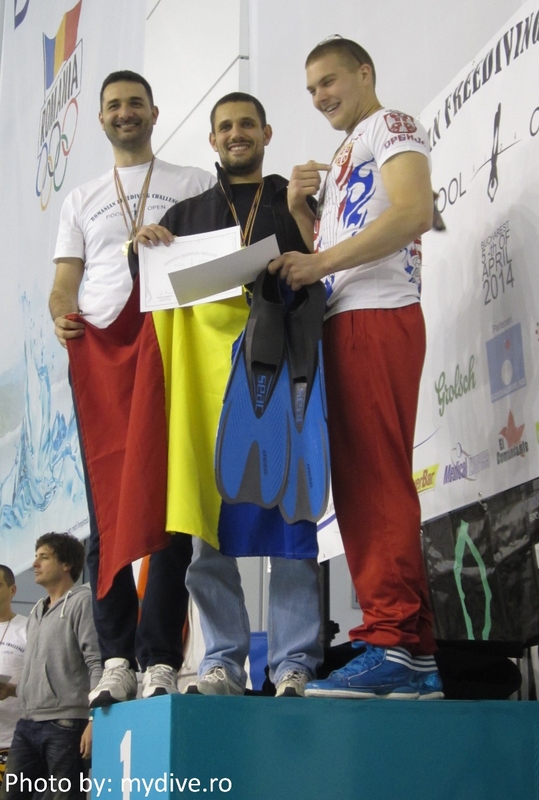 While the four judges from Romania/France, Romania/Denmark and Serbia were calculating the scores and establishing the rankings, an underwater hockey match took place, organized by two athletes from the French National team. 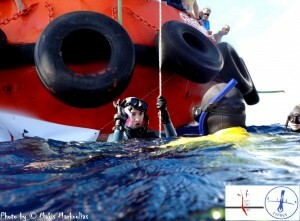 The participants wore special headgear similar to those worn in water polo, armed themselves with a special stick, split into teams and total chaos broke loose while trying to score the puck in the adversary’s side, everything taking place while freediving. After the official ranking was set, the award ceremony took place, with medals and prizes being handed out; the podium was entirely Romanian for the women and international for the men. The winners can be found here. After the award ceremony the group photo followed, the competition ending and giving space to the evening party. At the end of the day, in the Old City, within the center of Bucharest, the after competition party took place, as well as the annual party of the Romanian freediving community, by now a tradition. 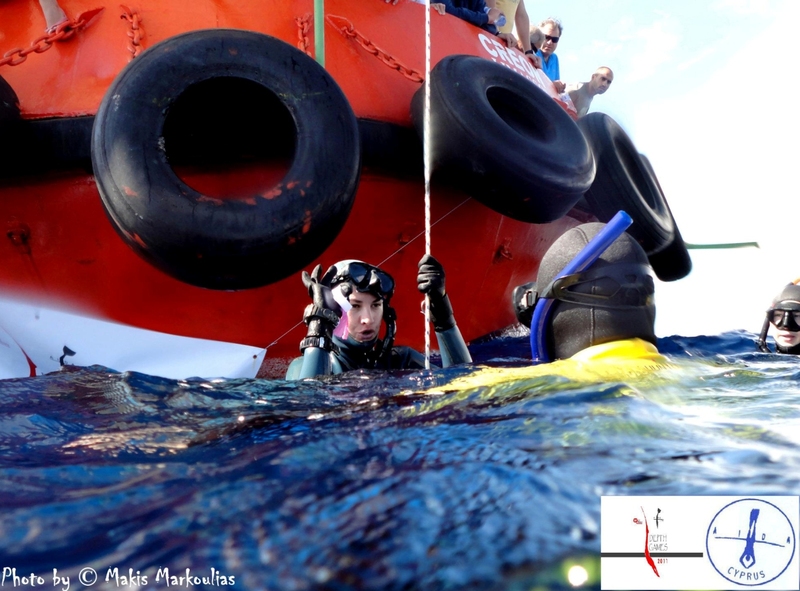 The customary funny named diplomas were “awarded”, manually painted T-shirts were distributed, all in the idea of encouraging practicing freediving, as well as giving the community a reason to draw the line and enjoy a new year of performances and going beyond one’s limits. 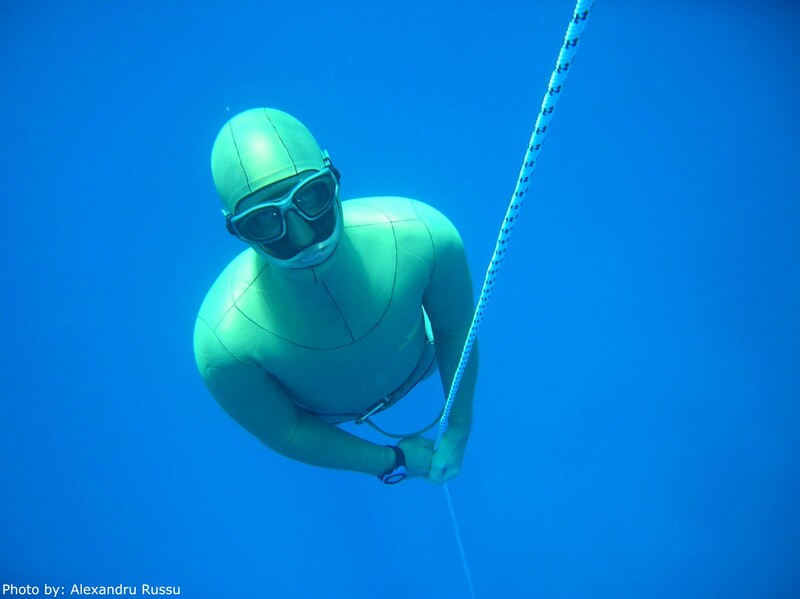 MyDive.ro talked to Sergiu Şerban, the president of Freediving Romania and founding member of AIDA Romania, and participant and organizer in the competition, about the meaning of this first event organized in our country: “The first freediving competition in Romania established, above all else, a necessary precedent for the long term development of the community, adding the competitive aspect which the pool or depth competitions bring. The few very good results, for both males and especially females, give me the hope that it will motivate at least part of the people present or the ones who have just heard afterwards about the competition, in training regularly and exceeding their personal records and, why not, the national ones – the records are here to be overpassed. It is worth mentioning that, behind the scenes, the entire effort of the organizers and of all those who helped, from the smallest to the biggest, was seen very clearly, as crystal clear as the water of the swimming pool in which the freediving disciplines took place. The feedback was extremely positive; all participants were contented and appreciated the professionalism of the organizers. 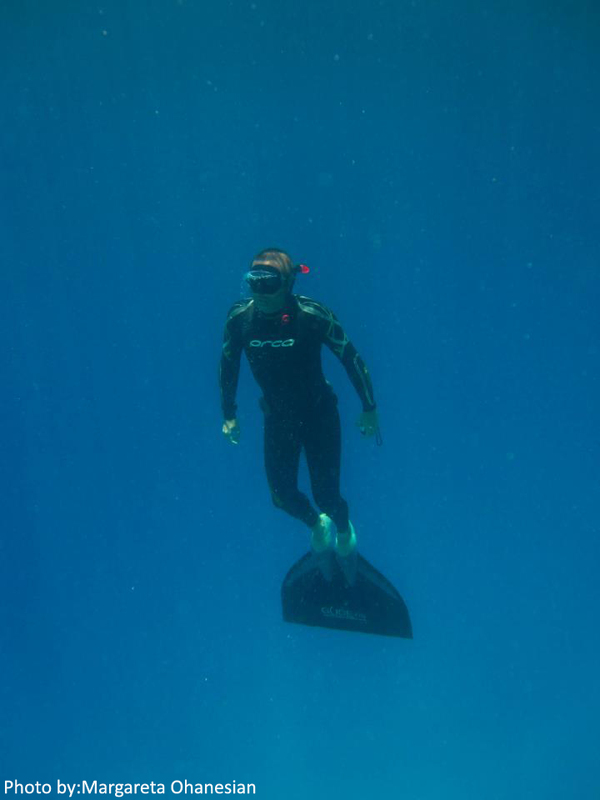 And once again it was obvious that freediving is more than a sport, is a binding agent who brings people close; it unites them and brings forward the best in each and every one.